Yesterday, I took a break from Netflix and Hulu to make a quick trip to the outlet mall. I needed to exchange a pair of jeans I bought for my mom for a better size. As is expected on 4th of July weekend, it was sooo crowded. I was just focused on accomplishing my exchange mission, and controlling my eyes and urge to shop for myself. I had just passed a rack of shoes when I noticed am older lady sitting on the bench struggling to try on a pair of loafers. She had to be at least 70 years old and was moving very slowly. A few shoe racks from her was a young lady - seemed to be in her mid-twenties. 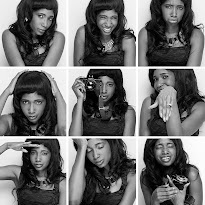 The young lady quickly tried on a pair of stilettos, dumped it in her shopping bag, and picked up her phone. While scrolling through what seemed to be snapchat, she paused and took a selfie. My eyes then diverted back to the older lady. She was struggling to stand up and walk in the shoes to test it out. She subtly smiled and seemed happy with the shoes. Just then, the young lady turned to her, rolled her eyes, and in what sounded more like a grunt than words said, "hurry up Mom! urghhh!" She then turned and heading towards the counter in frustration, yelled, "We need to go! You're always slowing me down. Next time I come here, it'll be by myself!!" The old lady's smile disappeared. She sighed, put the shoes down and slowly followed behind her daughter, leaving the shoe behind and probably any and all excitement that came with trying those shoes on. 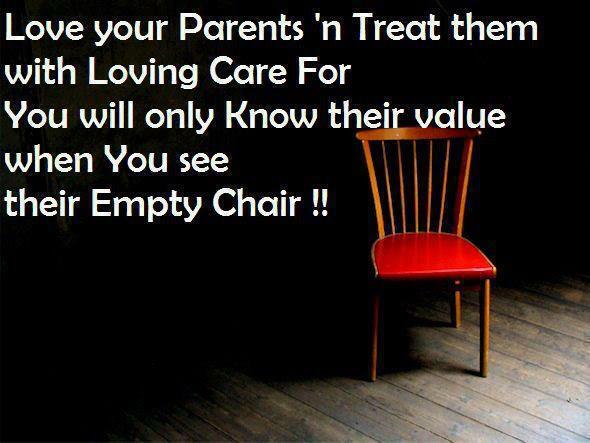 It really saddens me to see adults maltreat, misspeak or ignore their parents. 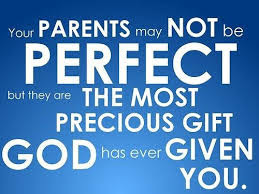 Our parents are not perfect. They are only human. At one point or the other, they may have failed us, hurt us, abandoned us, or simply not lived up to the expectations we have of them, but then they are still and will always be the persons God entrusted us to. Honoring your parents is so important to God, and we know this because the Bible does not only command it, it is filled with promises of bountiful rewards. So, as a Christian, let's just say for whatever reason you don't feel like your parents deserve your honor or respect, despite the fact that your mother carried you for nine months and went through labor, OR that your father worked two jobs just to pay your school fees, OR that your parents put your need for school supplies above their own need to go on vacation, do IT because it is the Fifth commandment from God. Next time your phone rings and it's your mom/dad and they are interrupting your night out with your friends or your binge of Game of Thrones, think about these verses and be reminded that your faith requires you to love, honor and obey your parents. The Bible also discusses the brutal consequences of cursing one's parents in Exodus 21:17 and Proverbs 30:17. Also, in various places, Jesus describes disobedience to parents as a character trait unbecoming of a true Christian, similar to backbiting, hating God and boasting. Don't take my word for it- check out 2 Timothy 2-3 and Romans 1:30. I hope these Bible verses inspire you today to love, value and appreciate the channel through which God gave you life. Remember, they won't be here forever. Next week, let's talk about the practical side- HOW we can honor our parents on the daily. It's been a while I read from you. I agree with you. It is simply the reality. Hello TeeCee. I know! I have had a crazy year setting up a new law practice. But I promise, now I'm more settled, by God's grace you'll be reading more from me. Have a blessed weekend!